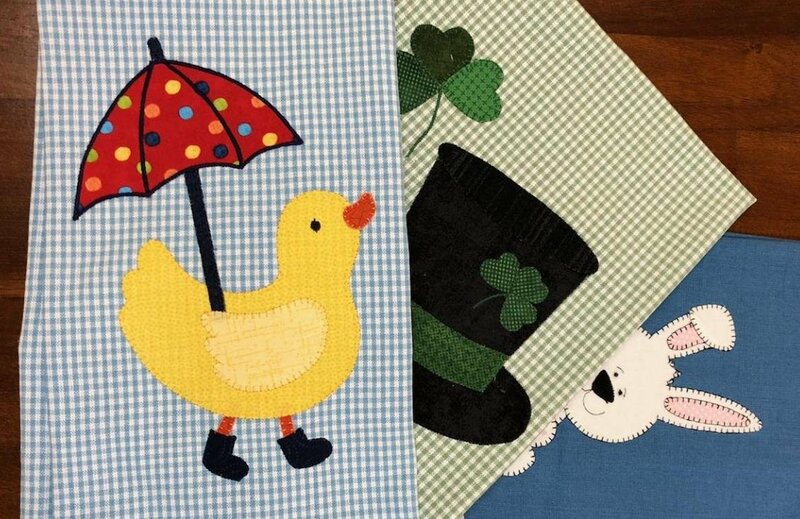 Towels to brighten up your kitchen or to make for gifts. Sign up now for this popular machine applique class. March project is Just Ducky.